Towards the end of the summer, I sat down to finally learn Franz Schubert’s cycle Die schone Mullerin, studying it in close detail alongside literature such as Gerald Moore’s excellent book ‘The Schubert Song Cycles: With Thoughts on Performance’. Why not the other two cycles Winterreise or Schwanengesang? It’s because those cycles are harder, but it’s also easier for me to identify with the miller, a young man. It’s music that I’ve known and loved for a long time, carrying around LPs at school parties (I was a dork). Everyone goes through a Dietrich Fischer-Dieskau phase at some point, and his partnership with Gerald Moore seemed a perfect model. Suddenly, the songs became more about the words, and the total work of art as the result. I marvelled at the time, how the words were coloured, so they weren’t always necessarily beautiful. It made sense, why should words that mean ugly things be sang beautifully? Few years on, I have somewhat revised my opinion, and I feel vocal technique ought to be preserved, but bringing the words alive is a huge part of singing. Books praise Schubert for bringing the form of the song cycle into the world, largely without precedent (Beethoven’s An die ferne Geliebte, arguably…), and raising the status of the piano to that of the voice, equal in importance. (Schubert’s relationship with Johann Michael Vogl is important to consider, but that’s another article to be written some other time). I want to take a closer look at the very first song, as here, we encounter a problem that recurs often during the course of the cycle/journey. How do you treat the strophic song? Two pages of music, twenty bars, repeated five times. Before the singer enters, there is already a problem, in the form of a fermata in the fourth bar of the Introduction. In the Eusebius Mandyczewski Edition, there is the significant word Fine under it. It would seem illogical to bring the movement to a sudden standstill, but you hear it on some recordings. A young lusty miller in character, the singer makes his entry with an eager promptitude, maintaining a healthy forte until he comes to bars 17-20. The fond echo makes sense enough, but what do we make of the accents? Are they stresses? They’re not sudden dynamic bursts of tone, but stresses through allowing them a fraction more time, hardly discernible to the listener. 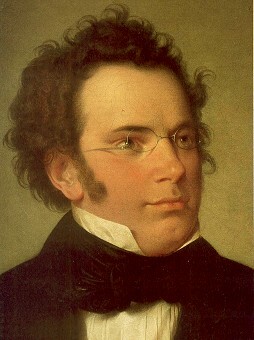 Schubert was not afraid to write a sf (Halt, Am Feierabend, Ungeduld, etc. ), but this would have been overly dramatic in a pp phrase lasting only two bars. Looking at Trockne Blumen (song XVIII), Gerald Moore suggests that Schubert used the accent sign for a rhythmical purpose, and a fp for a dynamic surge (See mm. 30 and 35). Verse two ought to anticipate Wohin (song II), and the light airy quality of a clear silvery stream suggested by the words. Legato singing is required, in contrast to the vigorous and impulsive first verse. The piano now murmurs in a quiet rippling. More excitement is needed for the turning mill-wheels churning the water, and there is a step up in volume compared to verse two. The pianist can aid the singer through a staccato touch, especially in the two little interludes of bars 7, 8, and 11, 12, where the pedal helps to give a splashing effect. Coming to the fourth verse, ‘The mill stones, how heavy they are’, the singer obviously gives most weight. Robust, and the pianist’s octaves in bars 13-16 are ponderous. The last verse differs from the others that have come before, being more reflective in mood, replacing impetuosity. This change can be warned by the singer through adopting a slightly slower tempo, and the deliberation and earnestness invested in the last four bars ‘Und Wandern, und Wander’ makes the listener aware of his longing.